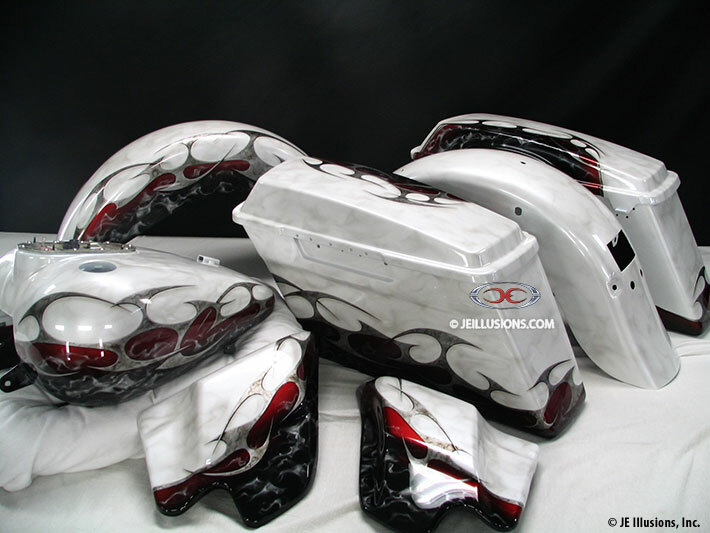 This paint job starts with an airbrushed, beveled edged tribal pattern with a marble effect inside. 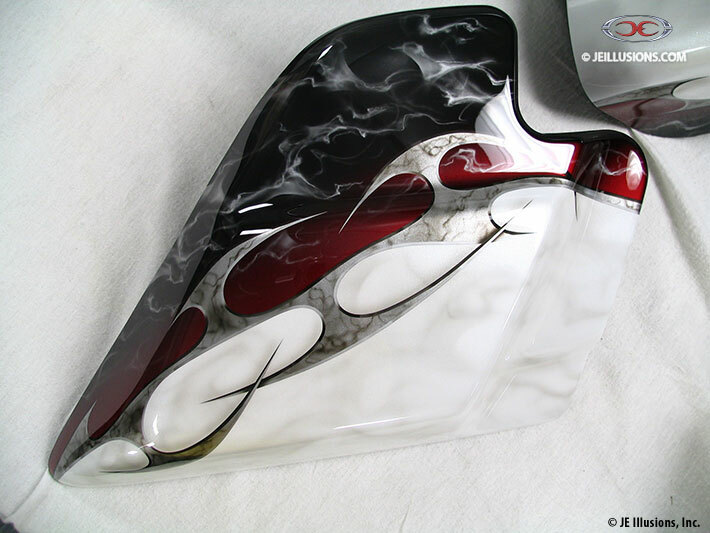 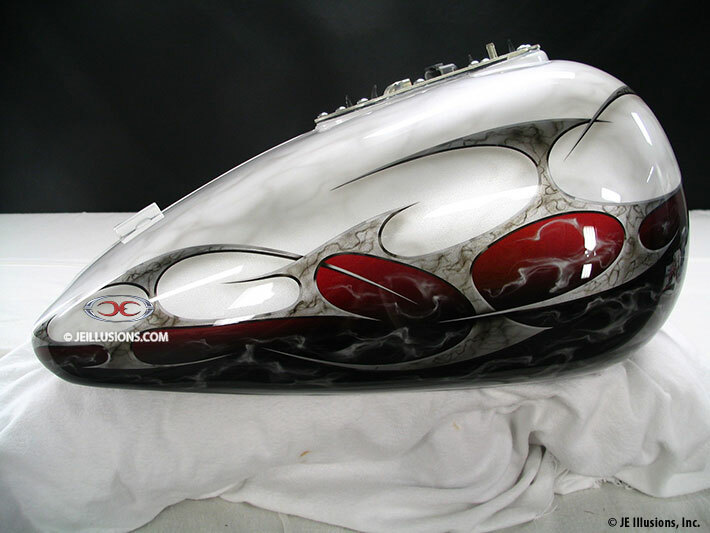 This tribal design surrounds a Deep Wine with smoke effects as the bottom color and a high gloss White color with hints of a marble pattern running through it as the top color...all airbrushed on. 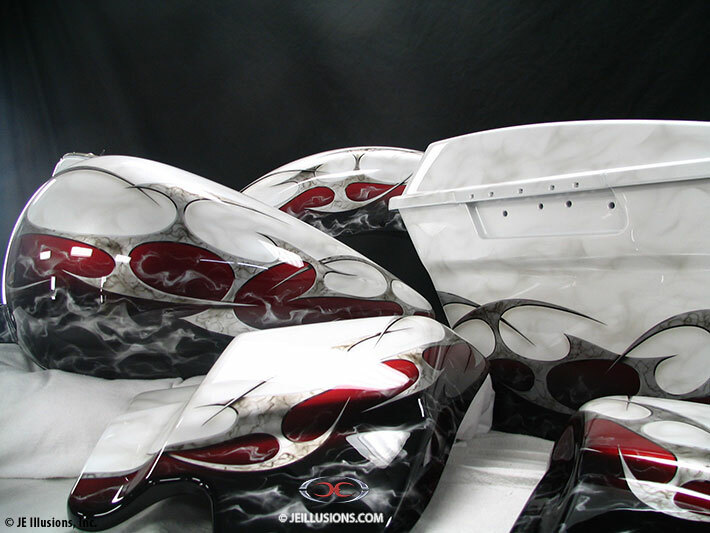 The combination of these colors makes for a very striking paint job!